Magnolia ISD is offering a new channel of communication free to parents, community members, students, and staff, the Magnolia ISD Mobile App. 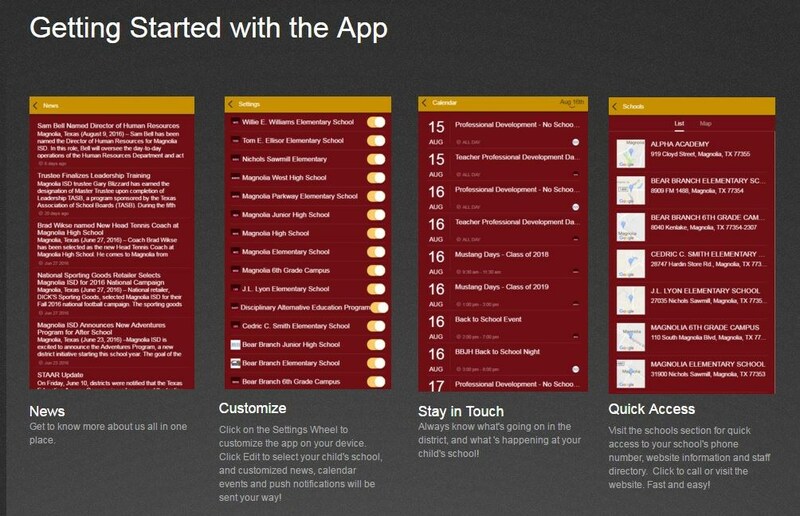 The app provides the latest news from the district and individual schools, important school and District updates, lunch menus and accounts, access to Home Access Center (HAC), athletic schedules, and the District's social media sites. For questions or help, please email Denise Meyers at dmeyers@magnoliaisd.org.